Can an apparent traitor help the government? 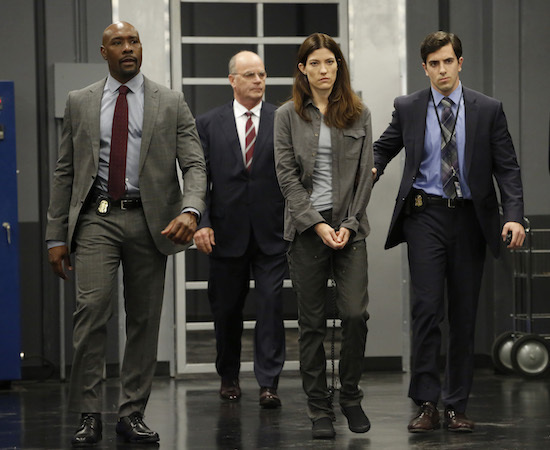 In THE ENEMY WITHIN, Jennifer Carpenter’s Erica Shepherd, a former CIA agent-turned-convict, is recruited by Morris Chestnut’s FBI Agent Will Keaton, the duo must work together to track down a dangerous criminal. NBC’s take: “In this fast-paced, spy-hunting thriller, Erica Shepherd (Jennifer Carpenter) is a brilliant former CIA operative, now known as the most notorious traitor in American history serving life in a Supermax prison. Against every fiber of his being but with nowhere else to turn, FBI Agent Will Keaton (Morris Chestnut) enlists Shepherd to help track down a fiercely dangerous and elusive criminal she knows all too well. For Keaton, it’s not easy to trust the woman who cost him so much. While Shepherd and Keaton have different motivations for bringing the enemy to justice, they both know that to catch a spy… they must think like one. Will you be checking out THE ENEMY WITHIN?